Now in it’s 8th year, the Dorset Knob Throwing and Frome Valley Food Festival is one of the best events of the Dorset calendar. 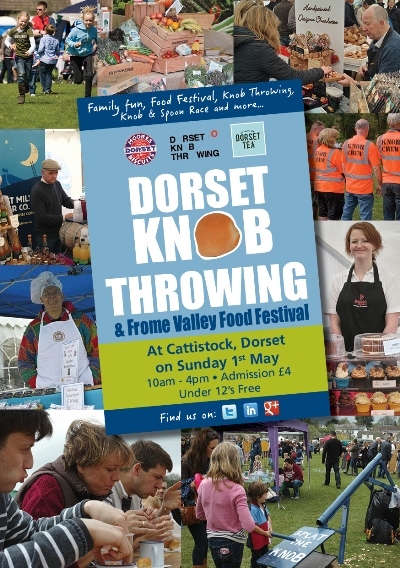 Come along and sample some of the tasty Dorset foods and drinks, as well as having a go at some Knob Games – see if you can beat the record for Knob Eating held since 2012 or Guess the Weight of the Big Knob, Pin the Knob on the Giant and many more fun games. Why not come along and stay at Giants Head Caravan Park, a dog friendly campsite & caravan park in Cerne Abbas, just a short drive from the Festival. You can come back after Knob Throwing, sit out in the evening and enjoy your food and drink purchases.